Caption slip reads: "Photographer: Miller. Date: 1958-01-12. Reporter: Tarpley. Assignment: Eleanor Parker and baby. 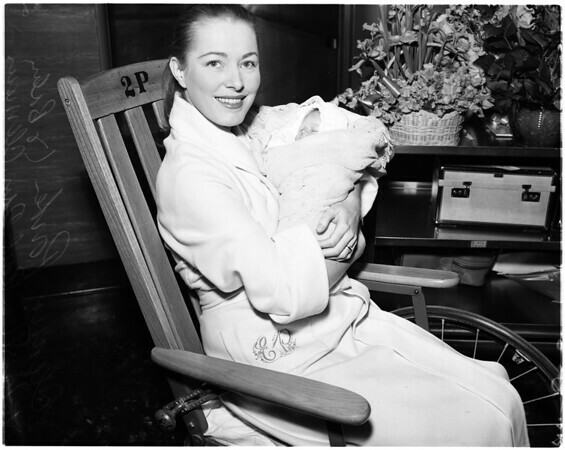 Actress Eleanor Parker leaves Cedars of Lebanon with new baby, 6 pounds, 11 ounces. Paul Clemens, husband, gets in picture with Miss Parker and baby, Paul Day Clemens, their first since marriage in 1954".